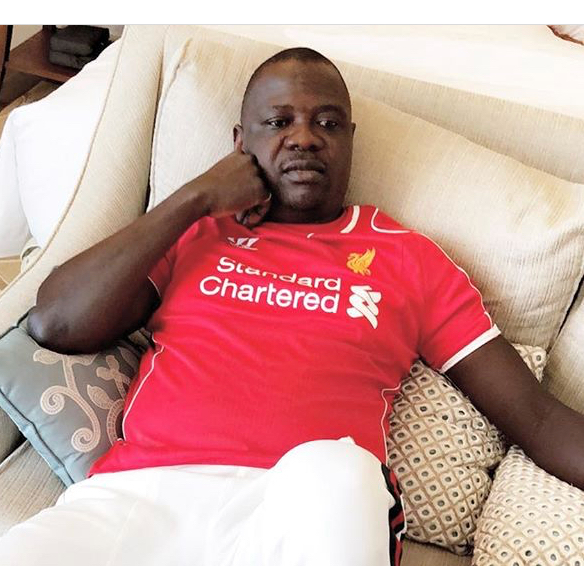 Popular Nigerian socialite, Ibrahim Dende Egungbohun, a.k.a IBD Dende, who has been romantically linked with several married women and Yoruba actresses because of his deep pocket, is currently in the custody of the Nigeria Customs Service in Abuja. Sources disclosed that he is being quizzed over his alleged involvement in smuggling in the South-West. According to sources, IBD Dende was initially invited to the Federal Operations Unit (FOU) of the Service in Ikeja, Lagos, last week. The 47-year old Ilaro, Ogun State-born businessman, was subsequently moved to the headquarters in Abuja. Confirming the development, the Customs Public Relations Officer (PRO), Joseph Attah, was quoted as saying: It’s true. Egungbohun is our suspect and he’s currently in our custody over his smuggling activities.” Although married with three children, IBD Dende has allegedly, been romantically linked with Honourable Adijat Adeleye, Biodun Okeowo, Ireti Osayemi, Fathia Williams, Laitan Sugar, Kemi Afolabi, Wunmi Toriola and some others.